I don't know, in it together. For better or worse, searching for our pot of gold. So many arrows just keep missing, their mark. Together we can only go higher. Nothing else matters at all, when you're in it for love baby. And the promises we keep. But it's always been a two way street. So many people don't know how to forgive. touch me - I wanna feel your body -..."
Now I have to live in yesterday..."
Now you put your love on display..."
"When I look at you, you're beautiful. When you find the things that matter. And every time we touch, the love runs deep...."
when you find things that matter..."
'Cause everybody's on that line..."
I've never been down this far before. That love would never find my door...."
If you know some new information about In It For Love (R.sambora & R.supa), or other song from our site, that isn’t already on song page, please let us know, Any refinement, news, or comment is appreciated. If information about In It For Love (R.sambora & R.supa), or any song from moodpoint directory is wrong, please contact us and write where the incorrect data should be replaced by correct data. 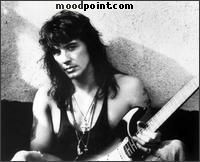 Use "Find Lyrics" box on our site, try to use different artist or (and) song title(ex: In It For Love (R.sambora & R.supa)) word forms.